The climbing wall is a 35 ² wide, three story tall lead wall with an attached 22 ² wide by 12 ² tall bouldering wall. 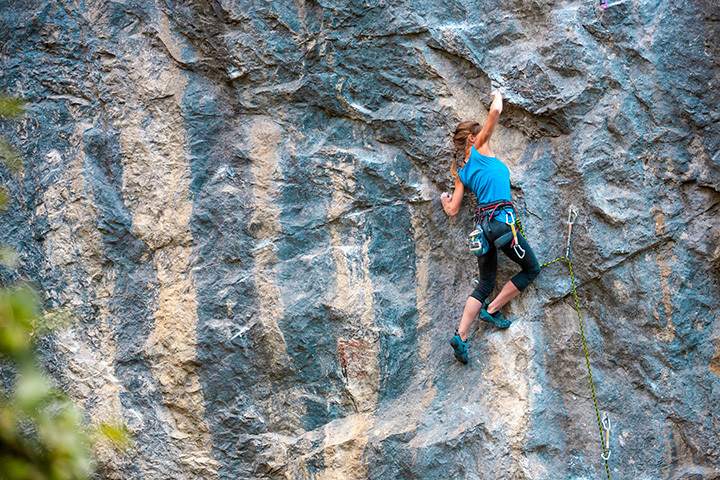 The lead wall has nine lead routes with top-rope belay bars and a two-three person belay ledge. The wall is a freeform design by Entre Prise Climbing Walls and incorporates built-in ledges, pockets and cracks including two, full height climbable cracks.